Last year, amid our 150th anniversary celebrations, Scripture Union took the opportunity to embark on a period of reflection and evaluation, to help us refine and improve our own activities and to allow us to offer best practice advice to others. During the year, we monitored and evaluated more than 1,500 projects and activities aimed at reaching children and young people who don’t go to church (estimated to be around 95 per cent of under 18s in England and Wales), with the aim of understanding the key factors that contribute to success in mission. We examined our own activities and those of our partners and spoke with those who responded to an online survey. 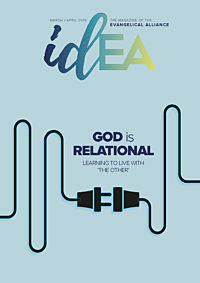 The findings and our recommendations have been collated into a report, Mission Possible, which is available for download at su​.org​.uk/​m​i​s​s​i​o​n​p​o​s​sible It offers practical learning that can be applied in churches and Christian organisations that seek to reach a similar audience. If you’re involved in mission with children and young people, it’s a must-read. There’s much more in the report itself, but here are a few of the key findings and recommendations. We found that teams with a strong prayer support network reported meeting their objectives more often than those who didn’t. That shouldn’t be surprising, but it’s so easy to underestimate the power of prayer. The first book of Samuel is a powerful reminder of seeking God’s guidance, where I’m often struck by how many times David asks the Lord what to do. He doesn’t try to formulate clever ideas or even follow God’s previous direction. Each time, he seeks God afresh. Seeking God regularly in prayer helps keep our work committed to Him and encourages us to rely on His strength rather than on our own. We mustn’t underestimate the crucial role prayer plays in cementing our focus and changing the lives of those we seek to reach. We also saw many practical answers to prayer through changes in behaviour and attitudes, volunteer numbers and provision of finance. I recently experienced this at a residential sports camp I ran, where the majority of the young people did not have a Christian faith. We had a really difficult first night due to some challenging behaviour, but after sending a prayer request to my network of supporters, specifically asking for prayer relating to the negative behaviour, we saw a miraculous change within a matter of hours. I witnessed the power of prayer to change an entire atmosphere as well as the young people’s behaviour. Our strategy hadn’t changed, yet the young people were behaving more positively and began responding to the leaders and teaching. This resulted in God doing incredible work in the lives of the young people throughout the residential. We mustn’t underestimate the crucial role prayer plays in cementing our focus and changing the lives of those we seek to reach. Understanding the local context of the mission is essential, as is building upon the work that God is already doing. The socio-economic status of the area should inform the fundamental aspects of how the mission should run, such as timing, location, duration and level of parental involvement, and we must take the time to gain an in-depth understanding of the community to ensure what we’re doing is culturally relevant. We also found that missions serving the needs of the children and young people as well as their families were more likely to build long-lasting relationships. It’s these long-lasting relationships that help build sustainable mission with continuing impact. We found that activities that built in time to focus on building relationships, rather than solely dedicated to an activity-filled programme, often provided more opportunities for children and young people to explore Christianity and respond to Jesus. In contrast, large-scale one-off or even annual events often aren’t as impactful as regular events because children tend to recall the experience of the event rather than the hugely important relational encounter. As I reflect on my own faith journey as a young person, I mainly recall the relationships of those who invested in me rather than the specific events. In my own personal mission experience, I’ve found that intentionally creating space for relationship building might limit the reach of the event, but it facilitates a longer-lasting impact. Responding to the needs of the community must be held in balance with the core objective of all mission: to share the good news of Jesus. We can adapt so much to a context that the Christian elements are lost. We found that activities with distinctively Christian elements up front gave children and young people greater opportunities to explore faith than groups that introduced Christianity at a later stage. Missions with very little or no overtly Christian content, conversely, rarely lead to opportunities for participants to explore Christianity at all. The inclusion of practices such as prayer, worship and Bible reading was also found to be really important, as they help create a communal rhythm that shapes the expectations of participants. We, too, must be distinctly Christian ourselves, and not just in what we say. We, too, must be distinctly Christian ourselves, and not just in what we say. When I worked in a behavioural support department in a secondary school, I was restricted in what I could share about my beliefs so I had to ooze that distinctiveness in everything I did. I think that’s so important in mission, so that young people are encouraged to explore that distinctiveness for themselves. As practitioners, it’s easy for the busyness of coordinating and delivering mission to overtake the need to pause and reflect. With 95 per cent of children and young people not in church, the sheer scale of the need can be somewhat overwhelming, and with that the temptation to keep our focus entirely on developing new and exciting work. While ploughing on is crucial to successful and sustainable mission, learning from what we’ve done already could be the missing piece in super-charging our effectiveness. We all want to work smarter and more efficiently with our limited resources, and it could even feel counterintuitive to down tools and evaluate what has already happened. But, believe me, intentional reflection really is worth it! Our own knowledge and experience can play an irreplaceable role in guiding our next steps, ensuring we remain relevant and responsive to our context and its needs. Finally, reflecting upon our mission also reminds us of all that God has done through us and in us, and is key to keeping us centred on the real reason we do what we do. If you haven’t already, download a copy of the report for more recommendations and much-needed encouragement as we seek to share Jesus with the next generation. Ben Poch is team leader of Scripture Union’s South East Team.